Whether you are a professional driver, or you just do a lot of driving, like any average American, you may have noticed that your back can become uncomfortable during and after a long drive, or that you are getting a quite severe back pain which makes driving almost a dreaded experience. Make sure you stop and get outside of the car often enough to straighten your back and body. It is recommended that you stop every two hours when driving and get out and stand up or simply get out of the vehicle for just as little as 15 minutes. 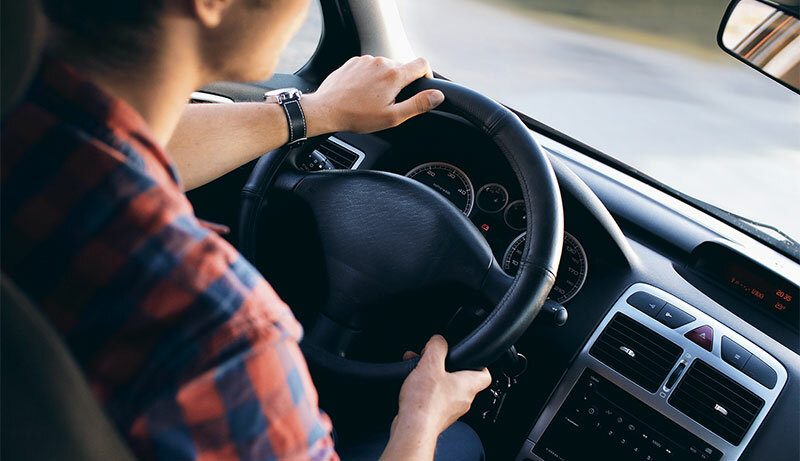 Sure, this will make reaching your destination slower, but in the long run, this sort of regimen can help prevent the mild to severe pain from driving and sitting for hours and hours. The same goes for working sitting or simply sitting in your lawn chair. Make sure you stand up periodically to keep your back feeling alright and prevent that back pain. Make sure you drive in a good body posture. The driving posture is important for preventing the back pain we all dread, and it can also prevent you from getting more serious back related health conditions and chronic pains. The proper driving posture requires sufficient back support provided by a lumber roll supporting your back curve. If you don’t have it, then you better consider purchasing a lumber roll. You can also simply roll up a towel or sweatshirt and place it on the small of your back for lumbar support. Also, make sure that your knees are either at the same level or at a higher level than your hips when you are driving. Plus, ensure that you are not bending forward to steer the steering wheel. Do this by appropriately adjusting your car seat at a distance which allows you to reach and turn the steering wheel and at the same time be able to comfortably support your back and spine on the back rest of your seat. The same goes for your chin and entire head – don’t keep them bended forward but rather ensure they are pulled back comfortably along with your back. To check whether your posture is correct, stand against a wall with your feet at six inches away from it and your hands on the wall while hanging straight by your sides. There should be no more than two inches of space from the wall to your neck and to the small of your back. A bigger distance indicates that your spine is curving and that your body posture is poor. Maintaining a proper posture is not only more attractive, but can keep you from developing some mild to serious back, neck and body pains as well as will reduce the risk of injuries to the back. Leading chiropractors and orthopedists suggest that you adjust your car seat at a 100 degree angle, while the bottom part is elevated by 5 degrees for a perfect driving angle. Sometimes the underlying cause for your back pain could be wearing inappropriate shoes. Yes, wearing suitable shoes can resolve many various foot, leg, back and neck problems! Wearing the wrong shoes causes our gait to get misaligned which has an effect on the entire body when standing and moving. The wrong gait will cause the entire body and posture to become misaligned in compensation. This can cause added stress to the spine and spine muscles and nerves. Getting proper shoes is extremely important, especially for people who suffer from plantar fasciitis, which causes not only pain in the feet but also in the legs and back as well. Make sure you get special plantar fasciitis shoes like these, which fit you well and provide sufficient comfort at all times. This can mean getting more cushioned shoes, shoes which provide more toe space via wide toe boxes, or shoes which provide added stability and arch support to correct over pronation. It all depends on the specific type of feet and gait you have when you are choosing your shoes, but keep in mind that getting the best shoes for driving and for everyday life can make a huge difference for your posture, your back, leg and neck pain, as well as for your general health. Ill-fitting shoes can cause you to stand and walk wrong, as well as can lead to some very painful conditions, such as: bunions, plantar fasciitis, metatarsal problems and injuries to the foot and leg joints, ligaments and muscles. This tip may take some time and effort for some but maintaining a healthy weight will help reduce back pain from prolonged driving. Since the spine carries and distributes the weight of a body at all times, it is important to keep the weight balanced. This means that excess belly weight will cause the center of gravity of the body to shift forward and will cause the spine to need to compensate for this shift. This can cause straining, pain, structural damage as well as possible injuries to the back and body. So, make sure that you take care of any extra weight you are carrying by implementing a healthier diet, a healthier lifestyle or making sure you exercise sufficiently. This will not only help your back but your overall health by reducing the risks of hypertension, heart disease, diabetes type II and numerous other dangerous health conditions caused by excess body weight. Last but not least, make sure that you exercise regularly. This will not only help with the weight loss process, but will also help ease back pain, stiffness and other problems. Plus, your muscles and your bones will become stronger as a result of regular exercising and thus capable of better flexibility, increased strength and will boost your energy levels. You can even do some gentle back and neck exercises while driving, and some more when you stop to rest. Whether you choose to walk, run, go to the gym, cycle at home, do aerobics, cardio or weight lifting exercises – the choice is yours. Just make sure you do yourself and your body a favor and keep it active, strong and flexible. This will help with the back pain, but after a while it will help improve your overall mood and self-confidence as well, as your body becomes more toned! Some additional things, such as removing keys, wallets and other bulky items from your pockets can help keep you comfortable and safe from pain while driving. If you decide to go all in, you may consider getting a good racing seat. Plus, ensuring that your ride is as smooth as possible will also reduce the strain and pain in your back. This may mean replacing the shock absorbers, worn tires or reducing the tire pressure. If you are prone to back pain when driving, you may want to consider bringing a cold pack in a cooler to apply on your inflammation periodically while driving so that the pain and inflammation are reduced.